Fans of Valve’s Portal series of games are sure to enjoy this awesome Portal gravity gun replica, which has been modified by the Hack A Day team to levitate a companion cube, adding to the effect of the already amazing Portal Gravity Gun. 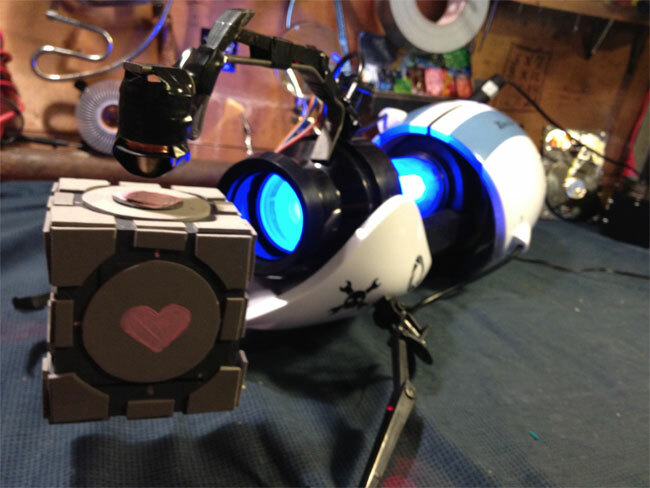 Watch the video after the jump to learn more about the levitating companion cube Portal gun project and see it in action. The Hack A Day team got their hands on a commercially available Portal gravity gun, together with a shop bought levitating globe which you might have already seen on sale. After removing the components from the levitating globe these were then added to the Portal gun, to create the effect of the levitating companion cube with awesome effect.